Back in November, before Montella was sacked, I wrote about the problems he had in attack. Not just his ridiculous formation and tactics, but especially his personnel choices. And while Gattuso seems to be restoring some emotion to the squad, the struggle for goals is very real. And while he’s wisely changed tactics and is working hard to repair the fragile mentality of the team, he’s also clueless about how to find more goals. Specifically, he continues to trust only in Kalinic, leaving his younger, more talented strikers on the bench game after game. Most specifically, one very expensive Portuguese striker whom Cristiano Ronaldo himself dubbed as his heir. And so all of us are left in search of André Silva. Silva shined in the Europa League, bursting onto the scene with six goals in six games. He was nothing short of amazing… against the smaller European clubs. But in Serie A, with the very limited chances he’s been given, he seems more like a mouse against men, getting swallowed up by the opposition defenses. There are two pieces to this puzzle, though. First is the limited chances he’s been given. In 21 games, he has 12 appearances – but only four of those are starts. Most of the other eight appearances are five minute consolation substitutions. €40m is a lot to pay for a five minute consolation sub. The second piece of the puzzle is trickier to define. We saw him dazzle against weak defenses, but it was different in Serie A. It’s true that Serie A defenses are considered one of the toughest in the world for a striker to beat, and Silva would not be the first foreign player to struggle against them. But isn’t it also possible that in the few appearances that he’s been granted, he was also subverted by the lineups and formations? 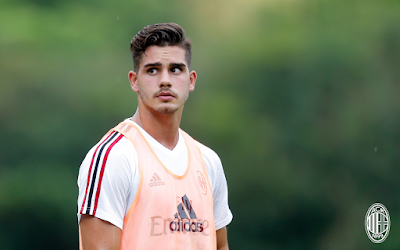 We’ve seen time and time again that he and Cutrone struggle to play together, for example, because they are too similar and haven’t yet learned to play with one another. We know that our midfield hasn’t done any favors for any of our strikers in creating chances, and also that the other strikers Kalinic has struggled to deliver goals, too. Had either manager had as much faith in Silva and given him as many opportunities, would he have more than four goals in 15 starts? One has to ask this question, it’s simply too obvious. Montella consistently and annoyingly said that Silva wasn’t ready for Serie A yet. In the beginning, I trusted that, seeing as he was training the squad every day. But as Kalinic’s starts began to swallow up his actual goals, a lot of fans began to question his judgment. Certainly, it would be hard to do any worse. On Saturday, ahead of the Cagliari match, Gattuso said something that was like a balm for our hearts: "Andre Silva is in good shape, he has this incredible desire to work hard and I should be more courageous in throwing him into the mix. He is young and needs to improve on a few ideas, but it’s no coincidence so many clubs want him. Milan moved well to sign this player and want to keep him. " 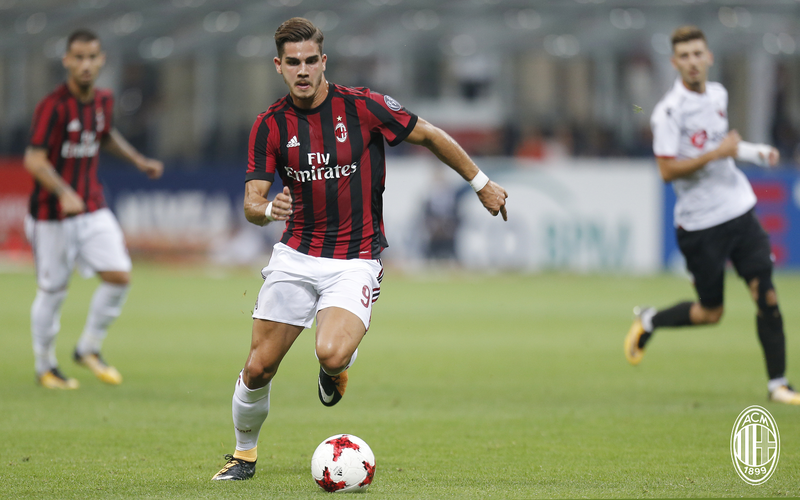 (via football-italia.net) I know that I am not alone in believing that I would see André Silva’s name in the starting eleven the following day. And when I didn’t, I hoped at least he would get a decent sub appearance. But it didn’t happen. Once again, he was left on the bench, and many fans had a hard time swallowing Kalinic’s excellent appearance. What is it exactly that Silva has to do to be given a decent chance? As the team starts to be more cohesive, it feels like he is being pushed further out into the cold. Why can’t he be trusted with at least some 20 minute appearances? And was Gattuso just being gratuitous with his words? Everyone has spoken of Silva’s professionalism. And all of us have seen his strength and his brilliance. What will it take for him to be given a few starts in the league? Or at least even one? As a fan, I cannot help but see that he is a star in the making. Whether that translates to a goalfest in a breakout game this season, or maybe a stellar future season with a little patience, it seems obvious that it is meant to be. Only no one with any say in the matter is willing to let it happen. It seems that they’d rather beat a €30m dead horse* (sorry, Kalinic) than train a €40m young stallion. Meanwhile, the rest of us continue in search of André Silva.